What are remote controlled robots? How to build a remote controlled robot? Loved watching movies like Robocop, Transformers, iRobot? Imagine how incredible it would be to have your very own robot! I would do anything to have one. And it’s completely justifiable. Having a machine that can execute your tasks with a lot of speed and precision than you ever can? That is the dream. If you have ever dreamt of building your very own remote-controlled robot, this article is just for you! Even if you are an amateur who had just discovered the beautiful world of robotics and want to build one, don't worry. We have your back! Here, we'll talk about everything related to remote-controlled robots. Beginning from questions like "What is a remote-controlled robot?" to "How can you build one at home? ", we have got it all covered. So, let’s get started from the basics. Robotics is a field of engineering and computer science that deals with the construction, designing and operation of robots in automation. It is also associated with the theory and application of robots i.e., how robots are built using various technology and their usage in our day to day lives. So what is the origin of Robotics? Robotics has a very rich and vast history. The idea of automatic machines dates back to ancient civilizations of China, Greece and Ptolemaic Egypt. In Greek mythology, it is believed that God Hephaestus made ancient robots as workshop assistants and even constructed a giant robot guard named Talos. Around 2000 years ago, the Hero of Alexandria made numerous inventions in the field of robotics. In 1206, Al Tazari, a Muslim inventor created the earliest form of automatic machines. Around 1495 Leonardo Da Vinci drew the first verifiable human-like robots (humanoids). Konigsberg in 1533, created an automaton eagle and a fly, both were made of iron and, could fly. The term ‘robot’ was first coined by Karel Capek in his 1921 play R.U.R. In 1941 and 1942, Isaac Asimov formulated the Three Laws of Robotics, and in the process coined the term "robotics". 1) A robot may not injure a human being, or, through inaction, allow a human being to come to harm. Clearly, the robots from our movies don’t seem to care about these laws, now do they? The first digitally operated and a programmable robot called ‘Unimate’ was developed by George Dovel and Joseph Engelberger in 1954. Engelberger was later given the title of ‘Father of Robotics'. What are the different types of robots? Robots, basically are machines that are designed to carry out complex series of actions, either autonomously or manually. There are three types of robots on the basis of their operation. 1. Autonomous: This term means ‘having the freedom to act independently’. Therefore, these robots are completely self-contempt and do not need any human commands to perform their tasks. They are stand-alone systems. They even have their own computer which is the “microcontroller”. They have inbuilt features that help them understand the physical environment and manipulate their maintenance and directions. Some examples include cleaning robots like Roomba and medical delivery robots that function on their own. 2. Manual: This term denotes ‘operated or controlled real time, rather than automatically’. Therefore, these robots depend completely on their operators and cannot perform their tasks independently. They are primarily of two types. Articulated Robots- As the name suggests; it is a robot with a balanced manipulator with rotary joints and an actuator for each one of them. Examples include robots used in welding, sealing, etc. Exoskeleton Robot- It is a wearable device that can be placed on the user's body and acts as an amplifier that re-enacts human performance. They can be used to lift heavy weights. Remember the Jaegers, the humongous robots in ‘Pacific Rim’ movie? They are exoskeletons. 3. 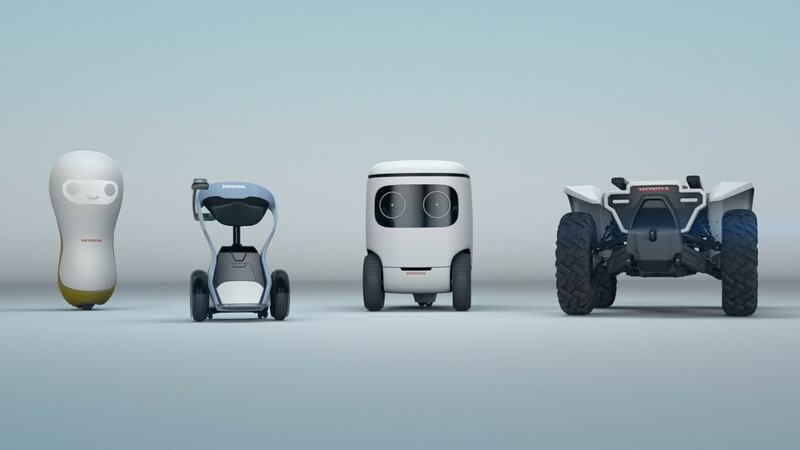 Semi-autonomous: These types of robots are neither completely manual nor autonomous. They take data using the sensors integrated on it and get information from the human controller. One of the most important parts embedded in them is the micro-controller. A microcontroller is a computing device that is capable of executing a program. It is referred to as the brain of the robot. Then, what are Remote controlled robots? A robot that is teleoperated (operation of a system from a distance) by any transmitting device, which in most cases is a remote. These robots are referred as remote-controlled robot. There is a direct interaction between the human and the robot here. And mostly, humans have the complete control over the robot's actions. Wired Remote Control: The body of the robot and the remote used to operate it are connected with wires or cables. As the robot is tethered, it is usually used in a stationary system. The cables pose numerous burdens for mobile robot’s application. The wires may interfere and act as an obstacle on the path of the robot. Wireless Remote Control: These type of remote-controlled robots are more popular for obvious reasons. The main body of the robot is not tethered to the remote by any cables or wires which allows unrestricted movement. Another type of remote-controlled robots is the operator-assisted mode robot. In such type, the human operator demands tasks of varying levels of difficulty. However, the process of achieving the tasks and getting the output depends completely on the robot and does not involve the operator in any way. Remote controlled robots are most popular among kids in the form of toys. Remember that remote controlled car you got when you were 10? That too is a robot. What are the technologies used in remote controlled robots? In earlier days, televisions didn’t have remote controls. There were different knobs attached on the TV, each one for some specific function. One controls the volume, the other, channel. Can you imagine how tedious that would have been? I bet you are thankful for having remote controls now. Let's discuss the different technologies that are used in the remote control robots. The remote control is not a recent invention. Nikola Tesla was the first person to invent the wireless remote controls in 1898. In both the first and the second World War, radio frequency devices were used to control robots and devices. Later with the advancement of technology, scientists were able to introduce remote control into innumerable electronic devices. So much that, one cannot possibly think of surviving without remote controls today. Infra-red technology: It is the most commonly used controlling mechanism in robotics. An infra-red remote, also known as a transmitter, uses infra-red light to send signals to the receiver or robot. It corresponds to specific binary codes that represent commands like ‘volume up', etc. The receiver decodes the infra-red pulses of light into binary codes. Radio frequency technology: These remote controls use the radio waves to transfer the codes via the transmitter. Modern satellites television systems use these type of remotes. With this type of remote, the robots can be operated from a distance of over 100 ft. Speech recognition technology: It is the toughest to implement but is a very important asset to increase the ability to interact with the robots. The aim is to analyze a phrase spoken onto a microphone which is then transcribed into written form and used. Various APIs are available to integrate speech recognition. The ‘Say It Module' is among the popular ones that uses this technology. Sound technology: Although it may seem similar to the speech recognition technology, they are actually quite different. This focuses more on the frequency of the sounds while the former depends upon the acoustics of it. Different sounds like clapping, whistling, etc. can be programmed to trigger the function of different tasks. Network technology: As suggested by the name, it uses different networks for functioning the remote. It may be wired or the remote may be connected to an Ethernet. Or it can be wireless, like Wi-Fi, Bluetooth, etc. What are the applications of remote controlled robot? How to build a Remote Controlled Robot? Remote controlled robots these days are so common; you can get one at the nearest toy store. But what’s the fun in that? The actual thrill is in building a robot on your own. Now that you know about the basics of robotics and the technologies used in remote-controlled robots, we can get to the fun part. How can you build a remote controlled robot? 1. You need to have a clear understanding of your robot’s use i.e., what is its purpose? Robots for amusement, for playing. Security and surveillance. Attaching a camera on your robot to improve the security of your house is an excellent idea. 2. Decide on the type of robot you are going to build. This article specializes in how to build a remote-controlled robot. You can also build manual or autonomous robots. However, that requires a significant amount of knowledge in this field. If you're a beginner, a remote-controlled robot is a way to go. What is an actuator? It is a device that takes up energy and converts it into physical motion. If a robot uses wheels or fans, the rotational actuators are used. If the robot uses arms to push and pull, linear actuators are used. You can buy your desired actuator at any nearby hardware store or click here to check the various robotics kits offered by Skyfi Labs, which you can order to your doorstep easily. Why microcontroller for building remote controlled robot? Unlike microprocessors, a microcontroller does not require peripherals such as external RAM or external storage devices to operate. This means that although microcontrollers are less powerful than their PC counterpart, developing circuits and products based on microcontrollers is much simpler and less expensive since very few additional hardware components are required. Arduino: It is an open source hardware platform that is always available for enthusiasts across the globe to build robots. It comes with an ATMEGA microcontroller that processes the data and facilitates the proper working of the robot. The best part about the Arduino is that it can be programmed ‘n’ number of times making it possible for you to build various types of robots just by changing a simple code. Click here to check out the Arduino based projects offered by Skyfi Labs. Raspberry Pi: It is an integrated hardware platform that can perform all the functionalities of a computer. This platform is not recommended for beginners as it involves complex architecture and programming and is one of the most advanced microcontrollers available. But if you had already done some basic programming projects and have some decent knowledge of Python Language, then you can opt for this platform. 8051 Microcontroller: This platform uses embedded C language for programming. Like Arduino, this platform also provides the bandwidth for you to reprogram and make the robot perform multiple functionalities. You can select this platform if you want to understand electronics from the core and get into the embedded systems technology. Check out the 8051 Microcontroller based robotics projects that you can build here. A motor controller is an electronic device that acts as an intermediate device between a microcontroller, a power supply, and the motors. Although the microcontroller decides the speed and direction of the motors, it cannot drive them directly because of its very limited power output. Brushed DC motor controllers: used with brushed DC, DC gear motors, and many linear actuators. Brushless DC motor controllers: used with brushless DC motors. Servo Motor Controllers: used for hobby servo motors. Stepper Motor Controllers: used with unipolar or bipolar stepper motors depending on their kind. Due to large numbers of radio waves around us all the time, the interference waves amongst each other is very probable. Apart from these two, we can also use Bluetooth, Wi-Fi or GPRS. Why do robots need a sensor? Unlike humans, robots are not limited to just sight, sound, touch, smell and taste. Robots use a variety of different electromechanical sensors to explore and understand their environment. Emulating a living creature's senses is currently very difficult, so researchers and developers have resorted to alternatives to biological senses. Can be imprecise and are more difficult to use than simple switches. Advanced sensors such as laser, infrared, encoder, etc. can also be used. Of course, a robot needs a hard body to cover its hardware. As these robots involve various sizes and functionalities, you might not find the correct hardware components. You can try to cast the components that has the simpler designs or you can get some robust robotics kits from the market. Click here to check the various robotics kits offered by Skyfi Labs. Once you have all the components, you can start assembling your robot. You can refer to some online tutorials to get the correct procedures. Make sure that you have all the required parts. You have to be extremely careful while connecting your motor controller to your micro-controller. If you make any wrong connection of electronic components, they will short circuit or damage the development board. If damaged, there is no going back. You need to replace all the components with new ones to make the robot work. Programming is usually the final step involved in building a robot. If you followed the steps so far and have chosen the actuators, electronics, sensors and assembled the robot, your job is half done. Without programming, however, the robot is nothing but a show-piece. What programming languages can you use? Basic, C++, JAVA, Python, NET are the most commonly used ones in robotics. The programming generally depends upon the skills and the type of robot made. Here are some tips for our beginners. Before jumping in and making any purchases, you need to have a clear idea on what you are building. This saves you the trouble of purchasing unnecessary objects and wasting money. Learn basic programming: not all robots require programming but it’s essential to learn the algorithms involved in its working and commands. Develop mechanical skills: there are many hardware things involved in making a robot. Distinguishing and recognizing each is essential. Good luck for your robotics project! Suppose, you are a beginner and doesn’t have any prior experience with robotics, don’t worry! We at Skyfi Labs have developed some basic robotics courses which will be super fun to do right from your home. With the kits shipped to you in 24 hrs, course tutorials and technical assistance provided, learning to build your very own robots can never be tough. Do comment below with your suggestions and queries. We will get back to it immediately.